Home Sweet Holidays: Tradition. TRADITION! Growing up, we had plenty of holiday traditions, including picnicking and watching fireworks at Miller Outdoor Theater on the 4th of July. Since Dave and I have moved around so much, we haven’t really been able to form our own holiday traditions – something I miss dearly. 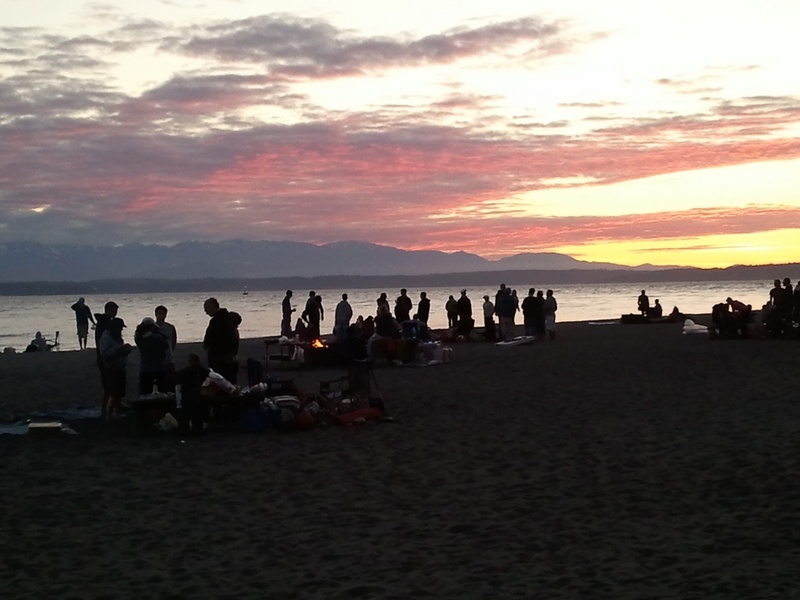 For 4th of July this year, we decided to celebrate a day early by gathering our small group of friends and having a beach bonfire. Actually, there were as many friends as there were strangers at our bonfire, but the more the merrier, right? 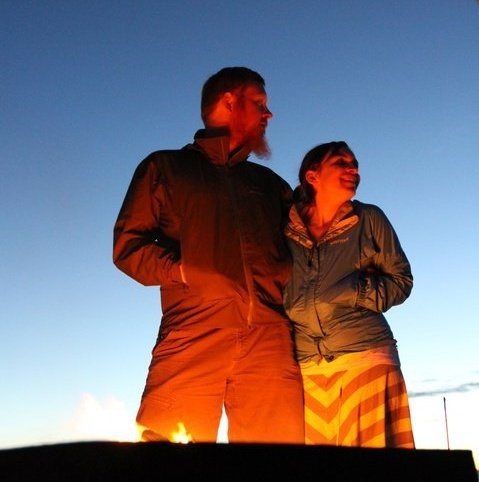 We made s’mores, watched sailboats glide through the bay, and soaked up the beauty of the sun setting over the Olympic Mountains. It was so much fun, I think we’ll do it again next year. Tradition! Do you prefer to spend holidays continuing old traditions with family or have you started new traditions with people you’ve picked up along the way?